The app offers many functions. Most of them are useful for parents, couples, business owners and anyone who doesn’t know how to track phone contacts. Snoopza is a useful mobile tracker that notifies you when new contacts are saved in the address book. This application lets you know not just the name of the new contacted, but also his/her number and the date the contact was added. Then you can start tracking contacts. You’ll find all recorded data in your own account online. There, you will see all tracked contacts. It’s a convenient way to access your data whenever and wherever you want. It’s not difficult to understand how this Android spy application works. When a target user adds new contacts to his/her phone, they will be saved and can be viewed in your online user panel. Sometimes the details are sent with a little delay. Don’t worry; it’s not a big problem, just a feature of the technology. Sooner or later you will get all the information you need: phone number, name, e-mail and so on. In addition to the contacts, Snoopza can save any interactions with the contact list. This is a default feature; you won’t need to change your settings. Moreover, you don’t need to have any special knowledge in computer science or do anything difficult; the process is very easy. Register, download the app, install and start collecting data. All procedures are carried out in hidden mode. This means no one except you will know about your spying. This fact creates many ways to use this software. In some countries, such activities are illegal. However, the stories of people who were saved from bad situations because someone who was hidden cared about them shows that sometimes this application can be very useful. Why is it so important to track contacts? Why and how to use the tools is up to you. Maybe you wish to know whom your children are talking to. Maybe you need to control your employees or get information about someone. Whatever your reason, with a special tool like Snoopza, you have a lot of possibilities. For example, you can learn a SIM card location or distantly take a screenshot on Android. When tracking somebody’s phone activity, it’s useful to get the names of the conversation partners as well as mail addresses. This can help solve many problems. It can give you an opportunity to learn everything about new encounters with your loved one, workers and children. It helps you control the conditions of your own life. Tracking helps you avoid problems. It is your chance to save your loved one (for example, a child, girlfriend or boyfriend) from a scam. It’s the easiest way to learn about all the conditions of your employees and their plans. Maybe your workers are trying to share secret information. A spy application Snoopza is used to track contacts to prevent bad situations or provide help. For example, you can help your children or grandparents. Start tracking right now. It’s an easy way to improve your contact management. On average, an adult has 100+ contacts in his/her phone. Every year, this list grows by several names and phone numbers. After a while, it’s hard to deal with it. You can organize your data and also follow the updates to someone’s phonebook. 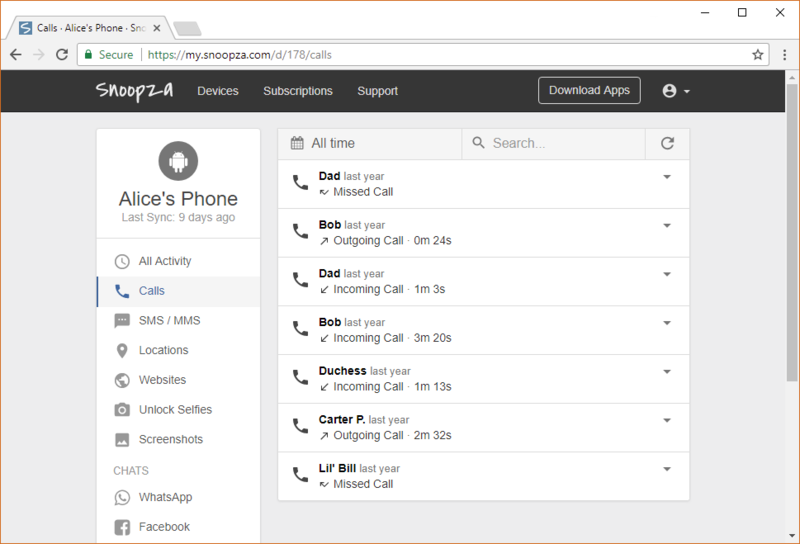 The contact tracking software by Snoopza is an invisible (spy) app that tracks contacts and other information from mobile devices on Android. It’s free to use.